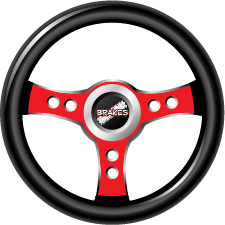 "My son and I attended BRAKES at the LA County Fairgrounds on April 26th. Yesterday, he was alone driving home from a high school baseball game approaching an intersection, on a green light about 45 mph. At the very last second, a car turned left in front of him. My son hit the brakes hard, engaging the abs, and steered away from the car as he stayed hard in the brakes, narrowly avoiding a collision. He attributed his reaction and collision avoidance to everything he learned at BRAKES. He described how, during the incident, he had anticipated the other driver turning in front of him and he knew the ABS engaged because of the feel and knew to stay on them as he steered away. The scenario was virtually identical to what he experienced at the school. Your school paid for itself 1000 times over last night. Thank you so much. "